The Therapy Lens project aims to develop a software application for supporting patients with neurological disease in activities of daily living (ADL). 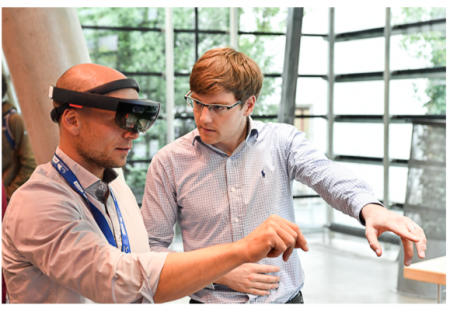 Using the Microsoft HoloLens augmented reality device, users perform ADL tasks in real life while the Therapy Lens application provides embedded virtual support that aims to guide users towards a successful outcome. The Therapy Lens project is supported through funding from EIT Health (European Institute of Innovation & Technology). EIT Health promotes entrepreneurship and innovates in healthy living and active aging, providing Europe with new opportunities and resources.